The smell of freshly baked homemade pecan pie is a true southern comfort tradition. Wouldn't it be nice to be able to indulge in the temptation of down-home comfort foods? 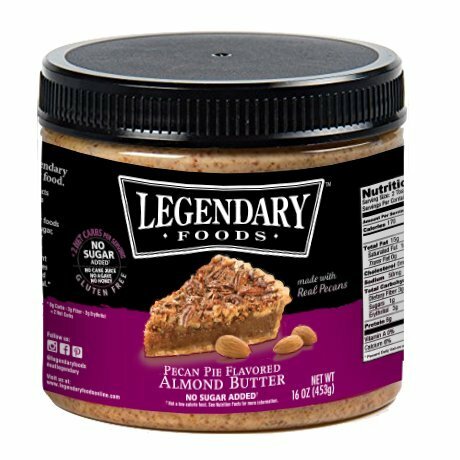 Our Pecan Pie Nut Butter is made with creamy almond butter, chunks of raw, decadent pecans, and natural praline flavors. Now you can dig into the taste and flavors of mom's homemade pecan pie without sacrificing your healthy lifestyle. Our Pecan Pie Nut Butter has no added sugar and made with raw pecans to keep healthy fats and nutrients intact for a great source of protein and a balanced snack. Fuel your body with ingredients only found in nature and help curb even the most intense cravings and temptations. View More In Nut & Seed Butters. Artisana Organic Raw Walnut Butter, 8 Ounce -- 6 per case. Wow Butter Creamy and Peanut Free Spread, 22 Pound - 1 each.